I love James Beard! 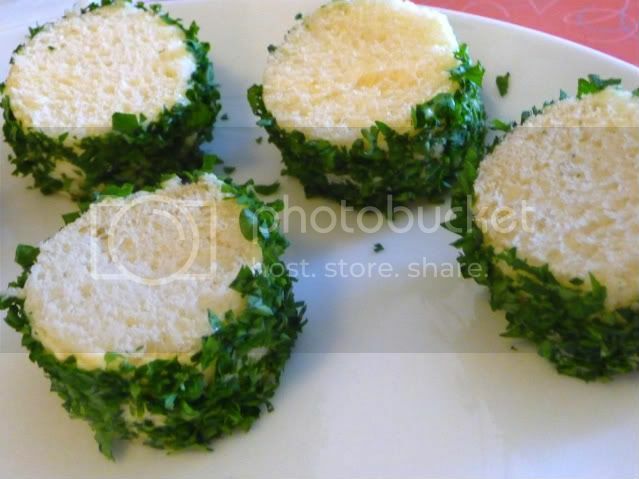 And his Onion Sandwich Canapes. I LOVE James Beard so much, I wish I could’ve hung out with him at least once. But alas, he was dead before I even realized who he was. So I had to write a “Chef Report” for one of my classes. 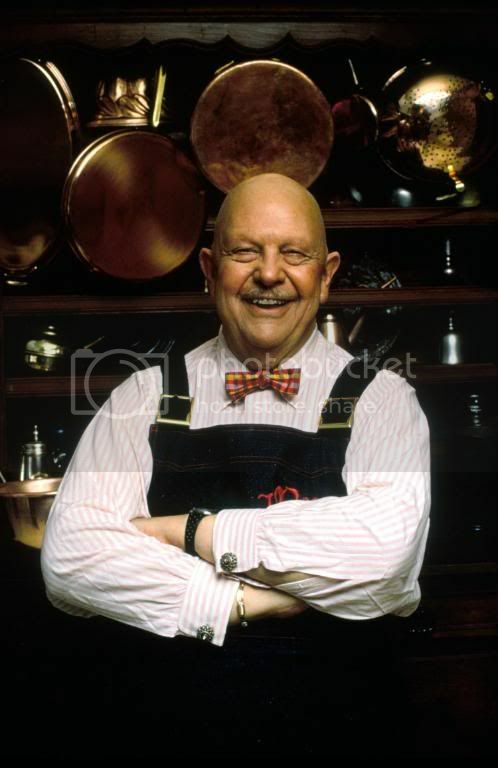 And although James Beard was not technically a chef, I figured since he was the father of American Cookery as we know it, I would write about him. I also had to give a presentation in class, and it turns out my professor had met him and also is in love with him. She said she followed him around all day like a puppy. So, good, I will just live vicariously through her experience. I also made these lovely little appetizers, which were very popular when Beard’s catering company introduced them on the New York social scene in 1938. I think you’ll like them too. 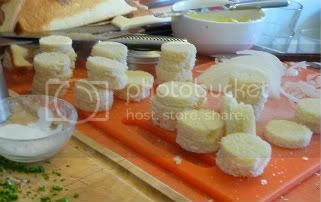 Cut bread slices into small rounds. I use a 1 1/2 inch cookie cutter. 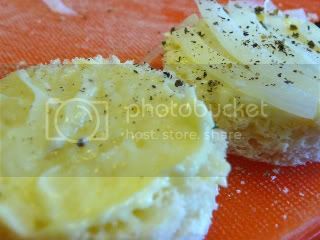 Spread one side with mayo and top with pieces of onion the same size as the bread. Season to taste with salt and pepper. Put the two pieces of bread together like a sandwich. 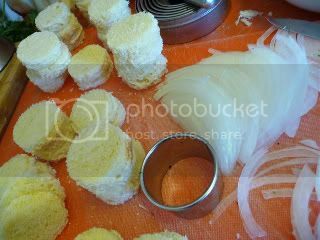 Spread a light coating of mayonnaise on the outside edges of the sandwich, icing it like a cake. 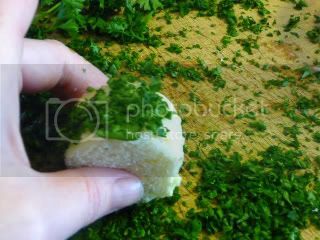 Roll the sandwiches through the chopped parsley so it sticks to the sides. 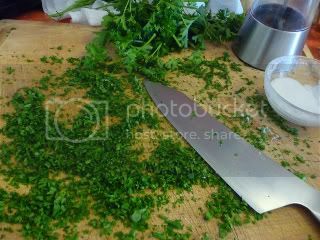 Cover and refrigerate for about an hour before serving. Yummy. 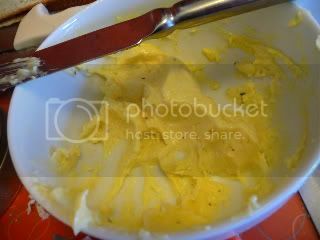 I use a mini food processor but you can use elbow grease (a whisk) or a blender. 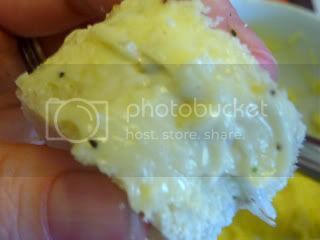 Put yolks, dijon and vinegar in the processor and buzz it a couple of times til it’s mixed. Slowly, slowly add a bit of oil at a time until it’s a nice mayonnaisey consistency. It should take all or most of the oil. Season to taste.